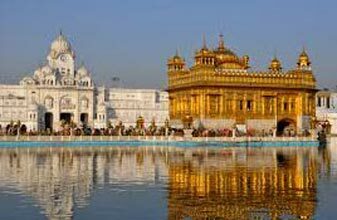 On arriving at the Amritsar airport/railway station, get received, assisted and transferred by our tour representative to get checked into your pre-booked hotel in Amritsar. After freshening up in your hotel, step out for the full day 05 Sarovar Darshan tour. 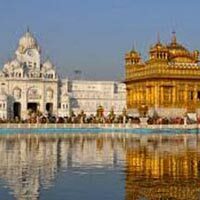 During your tour, visit Golden Temple (Harmandir Sahib or Darbar Sahib), Gurudwara Santokhar Sahib and Gurudwara Ramsar. Later in the afternoon, visit the Kalusar Sarovar, the Sarovar next to the Gurudwara Mata Kaluan close to Gurudwara Baba Atal in Amritsar, situated just next to the main Darbar Sahib at Harmandir Sahib. After this, visit Bibeksar Sarovar. Later, get back to your hotel in Amritsar in the evening to stay there all the night long.